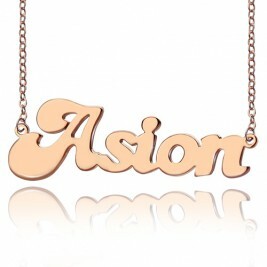 Style: Name Necklace/Love Necklace Thickness: 0.7mm/0.027" Pendant Size: 2.5cm ~3.0cm /0.98"~1.18" Hook: Double Hooks Chain type: Cable Chain Material: 18ct Rose Gold Plated Style: Name Necklace/Love Necklace Thickness: 0.7mm/0.027" Pendant Size: 2.5cm ~3.0cm /0.98"~1.18" Hook: Double Hooks Chain type: Cable Chain Material: 18ct Rose Gold Plated A lovely gift for any woman on your list, our stunning NEW 18ct Rose Gold Plated Fiolex Girls Fonts Heart Name Necklace will complete her outfit in trendy style. 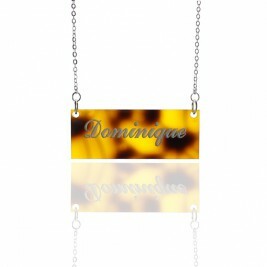 In your choice of any name with same metal adjustable Chain. 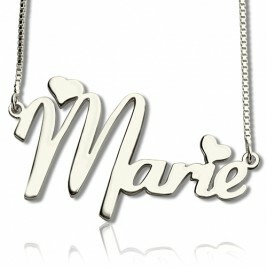 Can be personalised with up to 10 letters. Perfect for birthdays, graduation, teachers gifts and holidays! 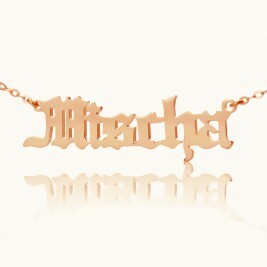 I thought this was going to be a nice little necklace. Instead looks like a phalice. Probably good for a costume or something, but not to be taken seriously. One of my favorite presents for my granddaughters and they absolutely loved them as well. 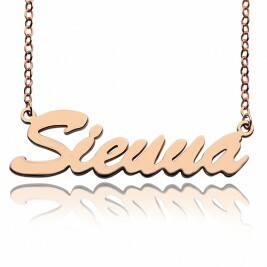 Quality of the name necklace is wonderful! I was so excited to give this gift and the girls were just as excited when they opened it! 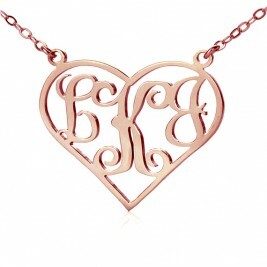 This necklace is beautiful and looks even prettier than the picture. 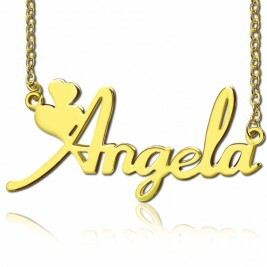 It is an excellent choice for a gift or for yourself. 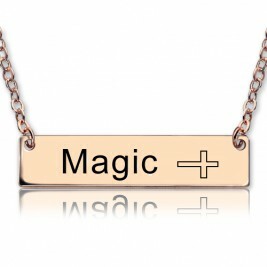 This necklace is beautiful in it's simplicity. A small stone as described but still a wonderful necklace at a great price. 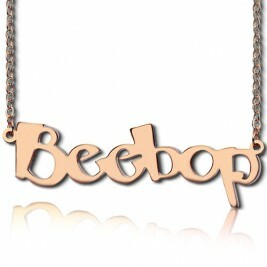 I was pleased with the name necklace, as was my granddaughter. It arrived in good shape, and is very nice.